INWES – INWES at the first Women Automotive Summit in Stuttgart, June 13! 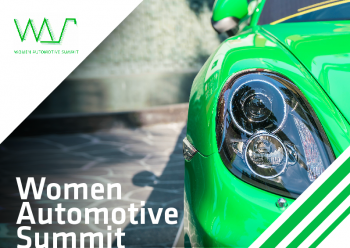 INWES / events / INWES at the first Women Automotive Summit in Stuttgart, June 13! INWES President Gail Mattson will be presenting at the first Women Automotive Summit on June 13th in Stuttgart. The aim of the event is to showcase global leaders’ success stories and explore how the current changes in the automotive industry and technology advances are affecting peoples roles. Many companies have their own initiatives to promote diversity, but there is still a need for cross-industry collaboration. International vehicle manufacturers, top suppliers as well as key automotive solution providers are expected to attend the event, with confirmation already received from: Hyundai, Yanfeng, Daimler and sponsors: SAP, NIO and MHP – a Porsche Company. The event is divided into three sessions, with maximum networking opportunities, including pre-event welcoming drinks, morning Yoga activity, breakfast, and VIP Dinner. The first session will bring together award-winning experts, such as Sabine Scheunert, Vice President Digital & IT Marketing/Sales, Mercedes-Benz Cars, Germany; Helen Emsley, Executive Director, Global Design, General Motors, USA; Angelika Sodian, Managing Director, NIO, UK; and feature opening address provided by the inspirational Mrs Linda Jackson, CEO of Citroën, France who will talk about the importance of “confidence and taking risk so that all is possible”. The roundtable workshop session will provide an opportunity for 1-2-1 discussion around specific topics unique to your current role. For example, Monika Mikac, CBO, QEV Technologies, Spain will host a discussion around: “Entering the automotive industry: challenges and how to overcome them”. Whilst the final session of the day will explore what the “future of mobility” means and how technologies, such as digitalisation are affecting women in automotive. As Ellen Sasson, Automotive Lead at SAP says: “we must welcome change as the rule but not as our ruler”. INWES members are eligible to a lower fee cost for ticket, plus there is a free ticket for one INWES member: anyone interested please send in a short 200 word statement, explaining who you are and why you want to attend, to conferences@inwes.org.